The Dark Stag shaving set includes the SR1 double edged safety razor, the Dark Stag shaving brush, the Dark Stag stainless steel shaving bowl and a stainless steel stand for impressive and useful storage. 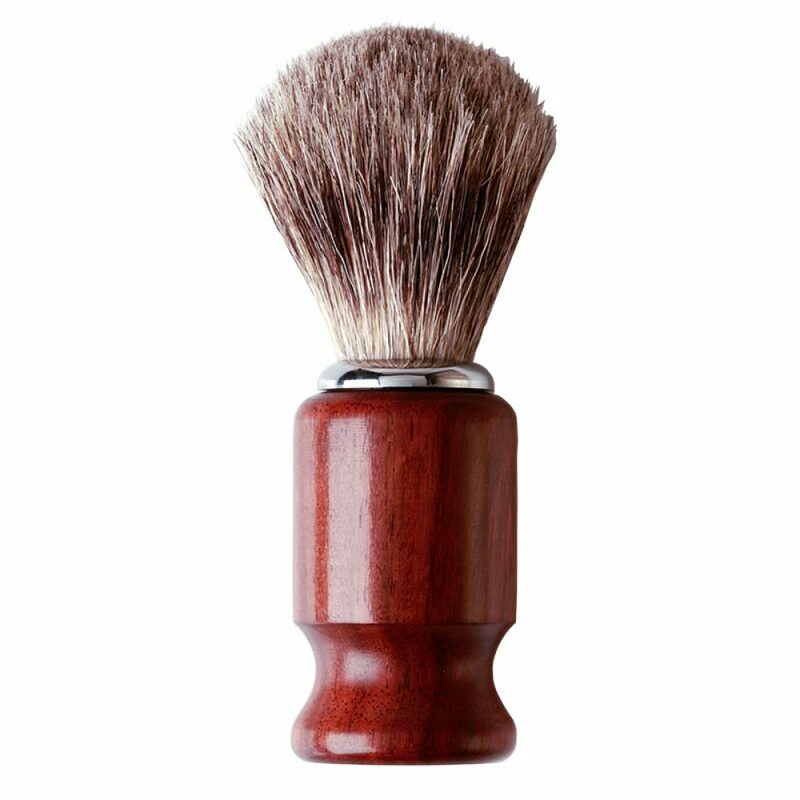 Beautifully hand crafted wooden handles on the traditional safety razor and brush provide an elegant feel. Supremely engineered stainless steel tools are a world apart from all the disposable plastic that dominates shelves these days. Widely available traditional double edge blades and a good shaving soap or shaving foam are all you will need to add! 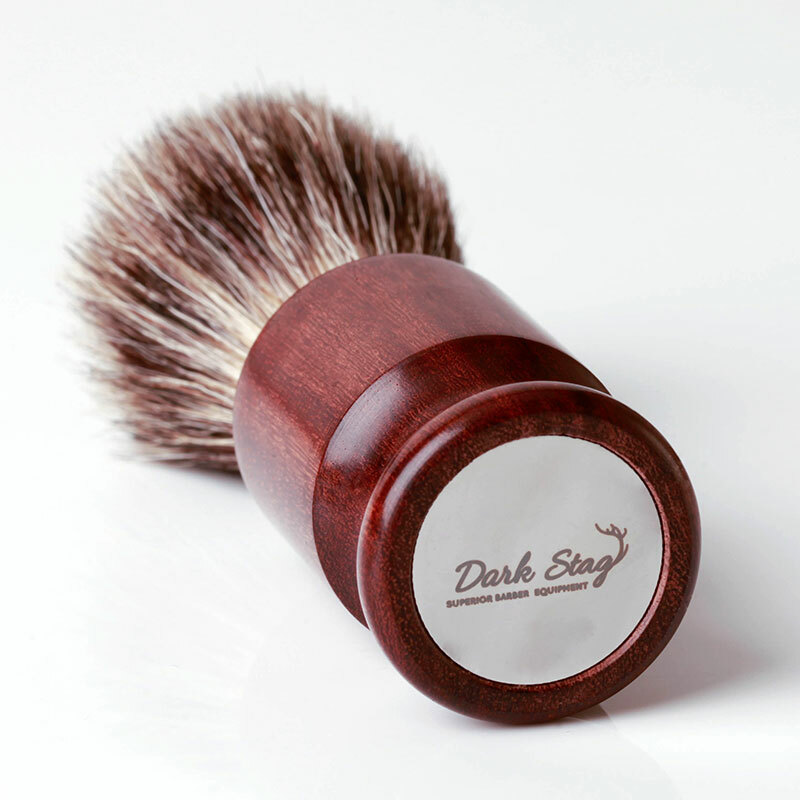 Then you can whip up a rich lather in the shaving bowl using the hand made Dark Stag shaving brush. We have chosen a modern synthetic badger bristle. It has the look of badger hair but is not absorbent so dries quickly. Advances in technology have led to bristles designed to stimulate and raise the beard hair, preparing it for the perfect shave. Also available as separate items. The Dark Stag Shaving Set is a 4-part shaving set, it includes the Dark Stag SR1 double edged safety razor, the Dark Stag synthetic badger shaving brush, the Dark Stag stainless steel shaving bowl, and a stainless steel presentation stand. The Dark Stag SR1 Safety Razor is hand made with a nickel alloy head and accents with a beautiful willow handle. This super durable razor is perfectly balanced, with a lightweight willow handle that only enhances the pieces elegance. This handle has been hand crafted, oiled and lacquered which keeps out all moisture and extends the life of the product. The SR1 uses traditional razor blades, which are widely available from most barbering and beauty retailers. The Dark Stag Shaving Brush is designed with traditionalism at it’s heart, recreating the classic design that has been in use since the 18th century. The bristles have been designed with advanced, modern techniques, resulting in a brush that can hold enough water to produce a lather, but not so much that it stays damp. With a couple of shakes the brush is dry! As an added bonus, the eco-friendly synthetic bristles are exceptionally durable, more so than real badger bristles, so you won’t need to replace it any time soon! This shaving brush is 100% cruelty-free and vegan-friendly. The Dark Stag Shaving Bowl has been specially designed to maximise the use of your shaving soap, so that you can get the perfect lather with minimal soap use. The metal composition also means that it absorbs and retains heat easily, meaning you get the warm lather you desire. Warm lather is key to amplifying your shaving experience. The flat base provides perfect stability, and the bowl is hand sized for ease of handling. The set also comes with a stainless steel stand, which offers perfect storage and completes the look of cool sophistication. To extend the life of your products, it is important to store both the SR1 razor and the shaving brush on the stand when not in use. Keeping the razor stored on its side will blunt the blades and shorten their usability, leading to more frequent replacements. The brush should hang upside down, so any additional moisture that was not shaken out will drip down to avoid any growth of bacteria.